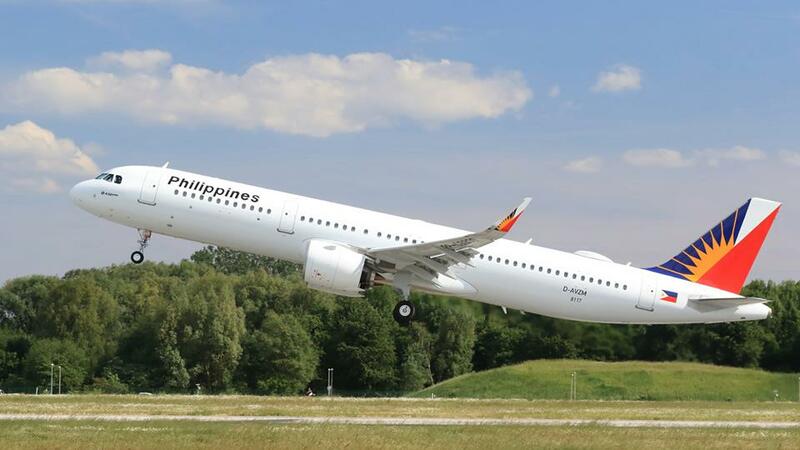 Aviation Updates Philippines - Skytrax-rated four-star air carrier, Philippine Airlines received its first state-of-the-art Airbus A321neo on June 1, Friday. It is the first of six ordered Airbus A321neo and 15 Airbus A321neoLR ACF under the fleet renewal program. NEW FLEET. The Airbus A321neo fleet offers new cabin products as PAL aims to gain its five-star rating by 2020. Photo by Airbus. With its longer range, this new generation aircraft flew from the Airbus Delivery Centre in Hamburg, Germany to Manila, Philippines with only a single stop-over in Abu Dhabi, United Arab Emirates. "The A321neo joins an existing Airbus fleet at Philippine Airlines that currently includes 25 A320ceo Family aircraft, 15 widebody A330s and five A340s,” Philippine Airlines told the media in an announcement on Friday. The Airbus A321neo fleet will be initially deployed to Brisbane starting July. Flights to Sapporo, Sydney, New Delhi, and Mumbai will follow in the coming months. This new jet is powered by Pratt and Whitney PW1133G engines — noticeably wider in diameter compared to the current engines offered in the standard Airbus A321 series. In-flight entertainment is available across the entire cabin. Aside from the A321neo fleet, PAL will also receive its first Airbus A350-900 aircraft in July. It will also feature an upgraded state-of-the-art cabin for better passenger comfort and safety on longhaul flights around the world.